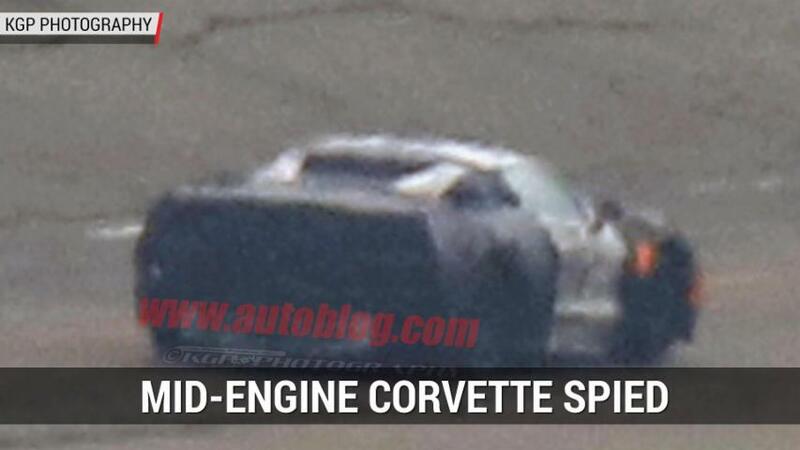 We recently got an early peek at the upcoming Corvette ZR1, and some of the intriguing details were a pair of slim posts on the tail end and a long, bubble-wrapped car part inside. We thought they looked like parts of a wing that wasn't installed, and from these latest spy photos, we thought correctly. 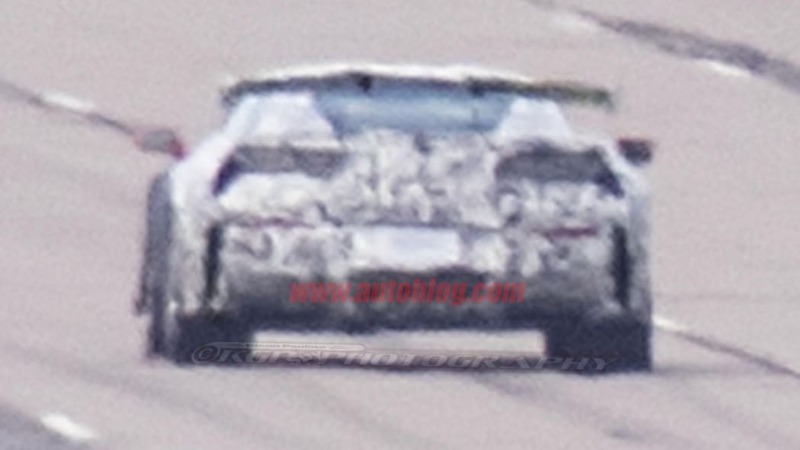 Although these newest photos are quite grainy, the large rear wing still comes through pretty clearly. 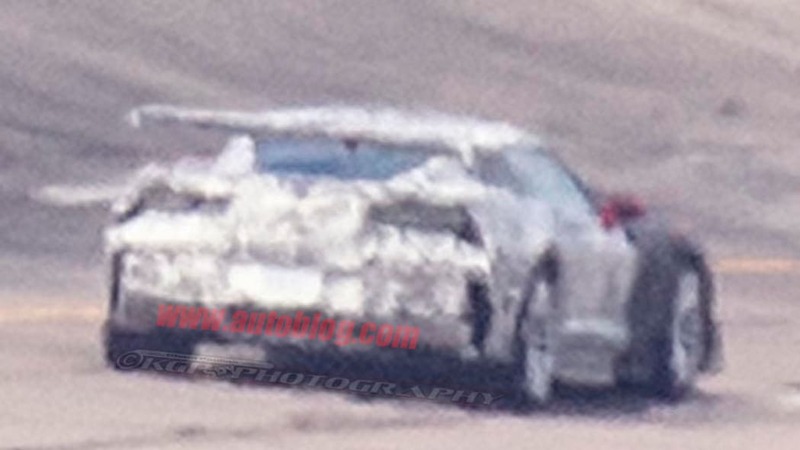 Looking closely, it appears this prototype might be sporting more aggressive aerodynamic parts on the side skirts and the front bumper, but that's as much as we can gather from these photos. 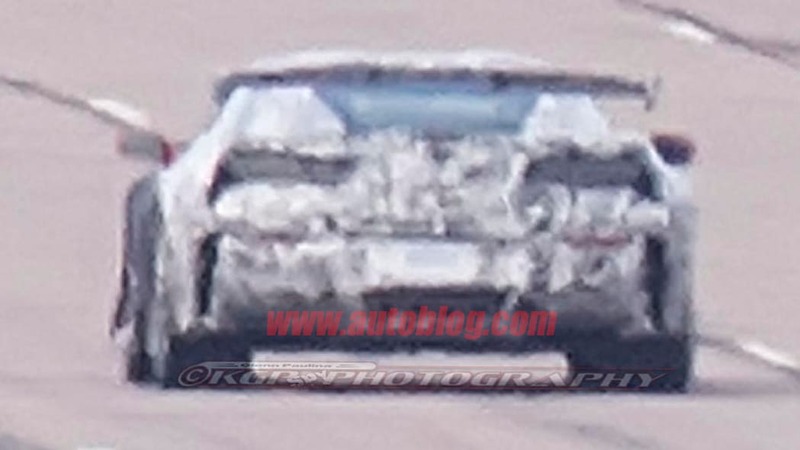 Regardless, the wing seems to indicate that this ZR1 will be particularly track-focused and a rival for cars like the Dodge Viper ACR and Porsche 911 GT3 RS. 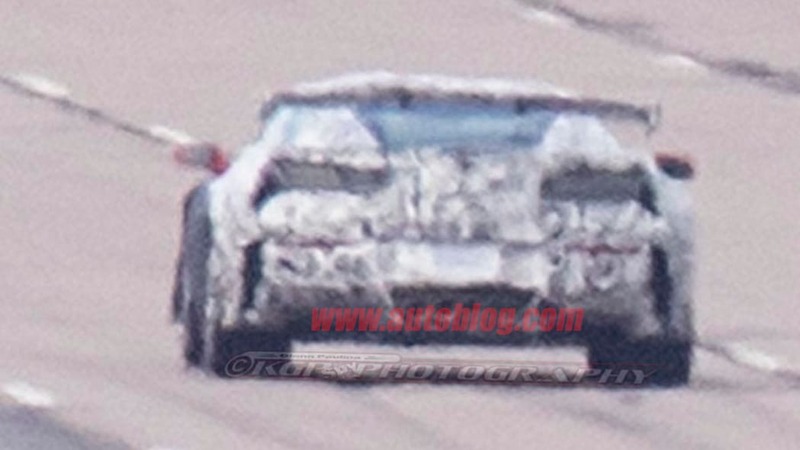 Considering that the ZR1 is likely to be lighter and more powerful than both the current Z06 and the previous ZR1, the extra downforce should be very helpful. After all, rumors suggest it could produce at least 700 horsepower. 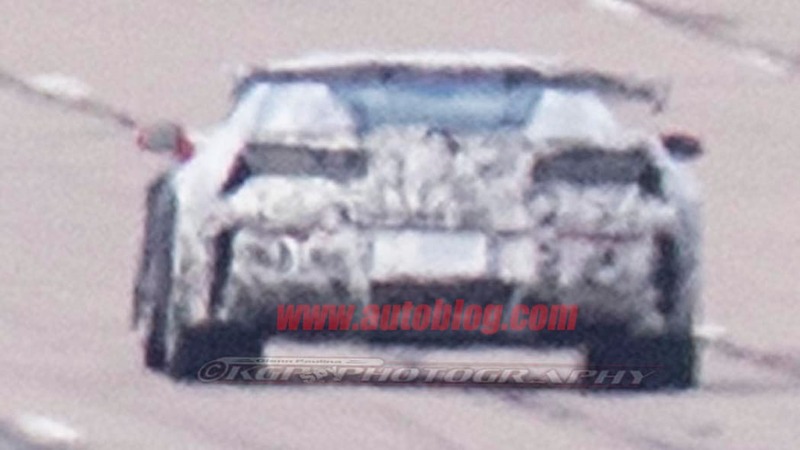 Be sure to check out our article that archives all of the ZR1's developments, and stay tuned for more details.